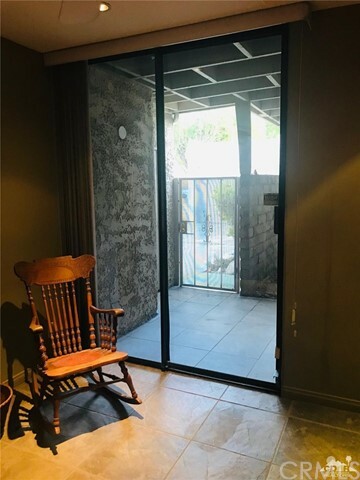 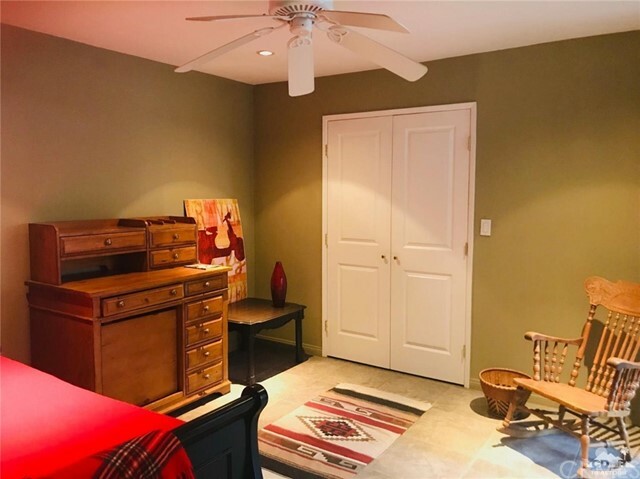 Enjoy a coveted end unit location with sweeping Westerly mountain views plus a serene element of privacy found in this most desirable condo in a premium FEE SIMPLE (you own the land) community. 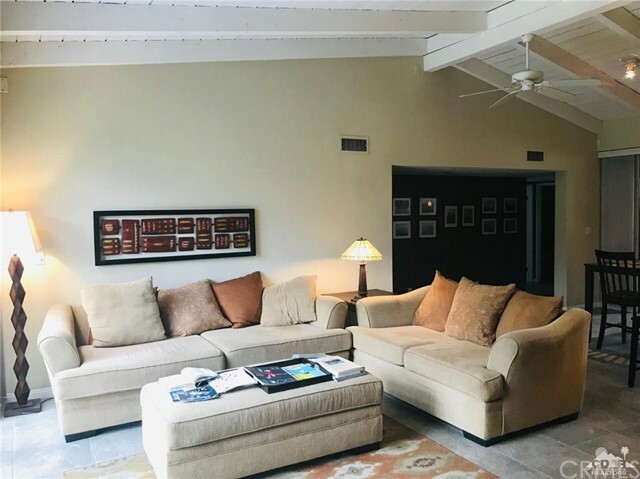 Gracious open floor plan with soaring beamed ceilings in the living room and dining areas. 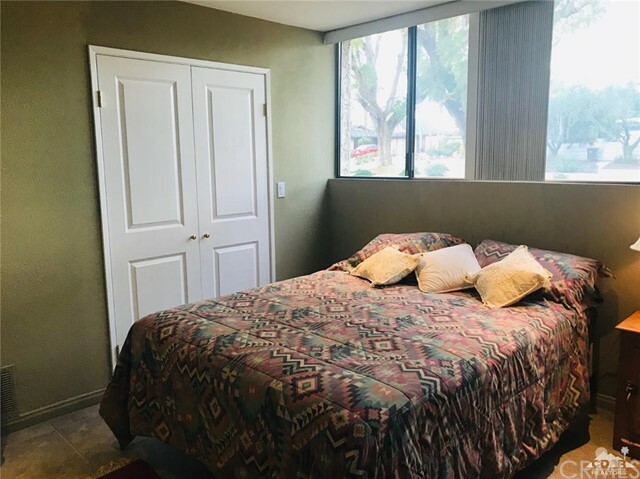 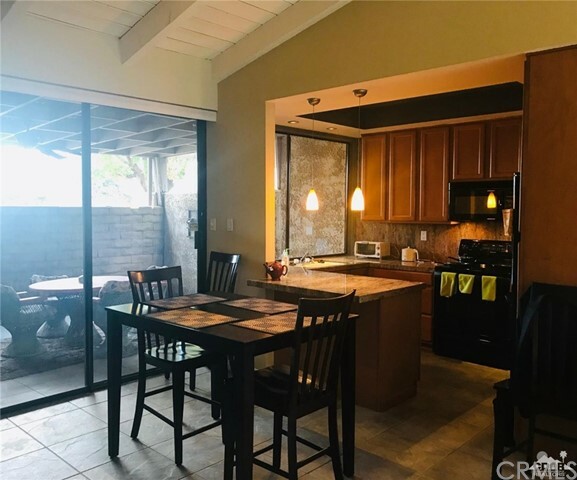 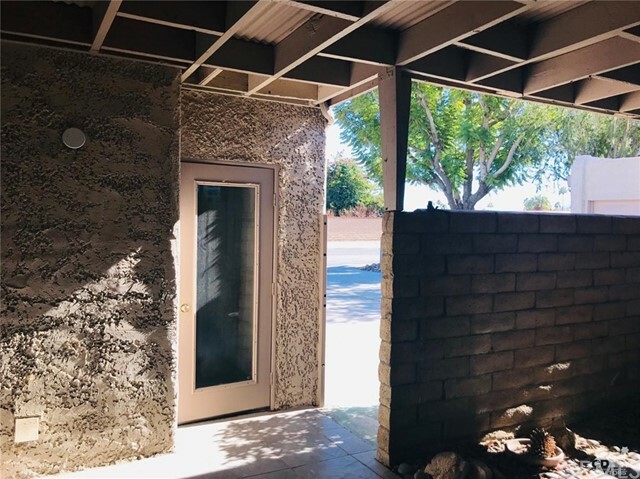 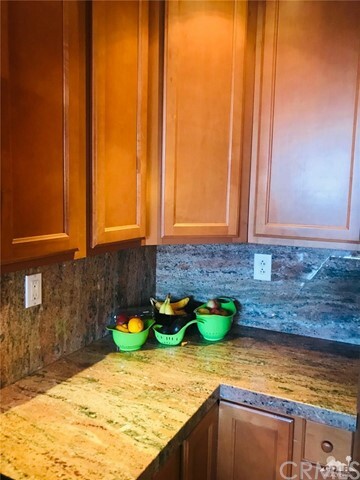 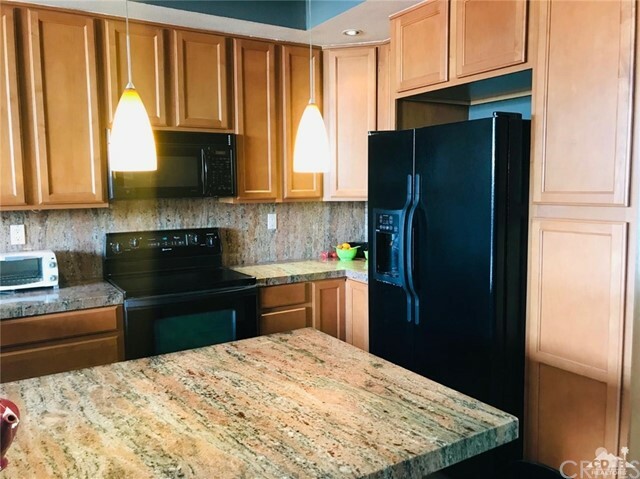 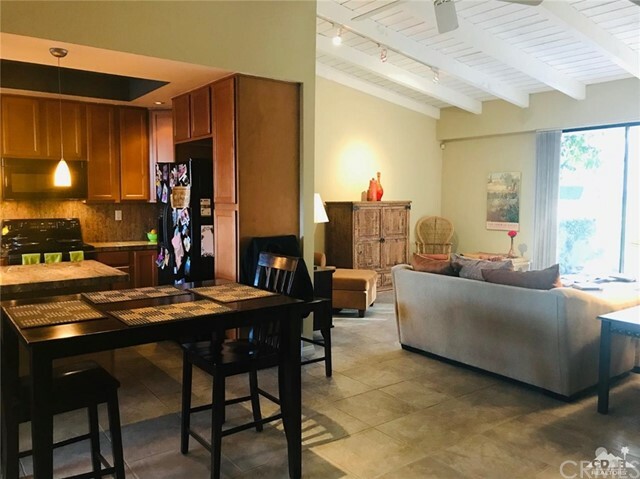 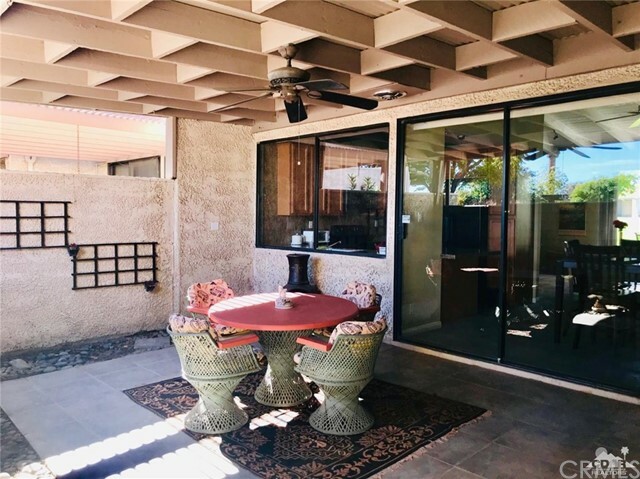 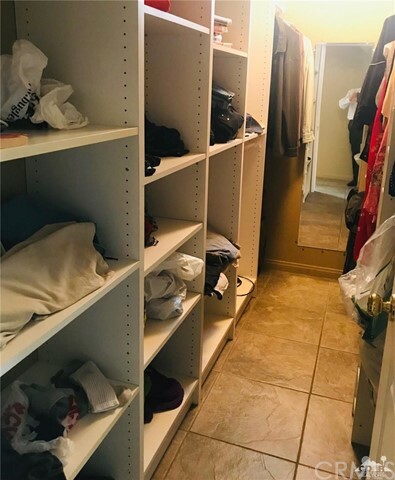 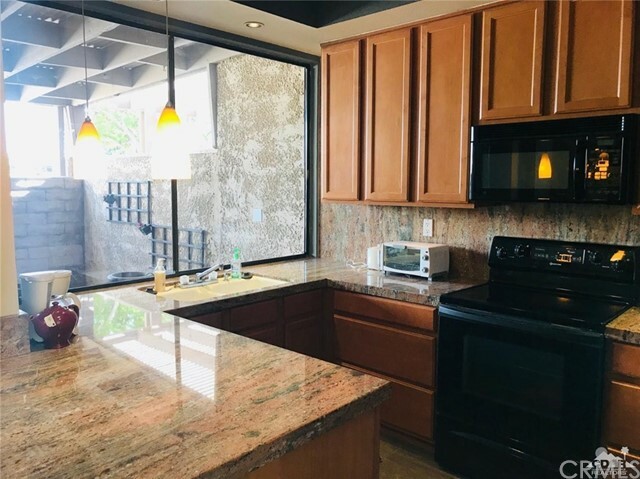 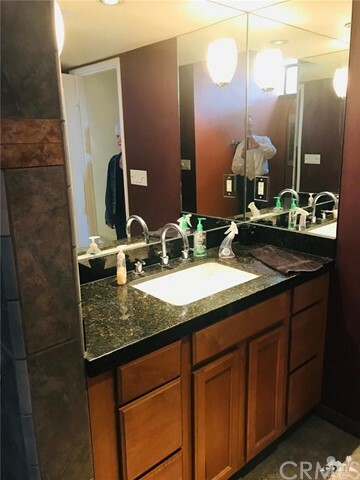 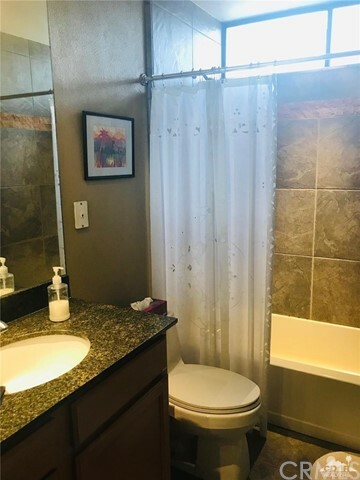 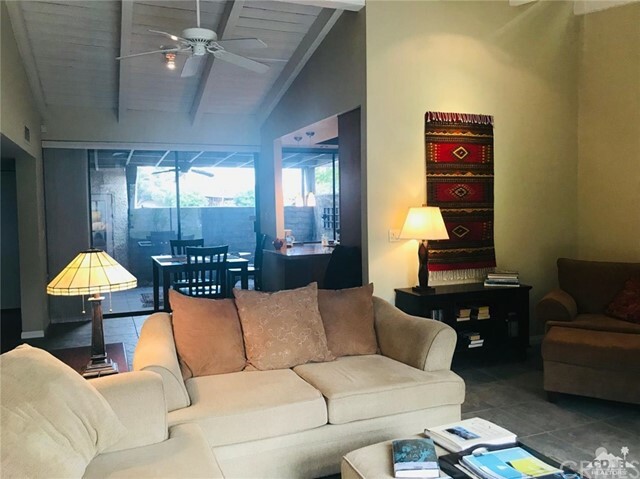 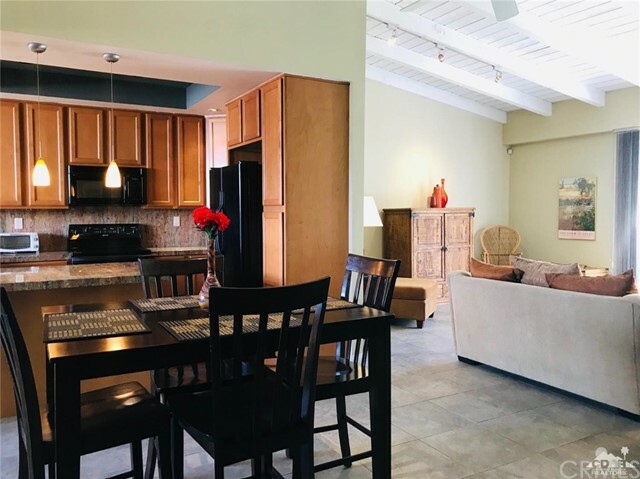 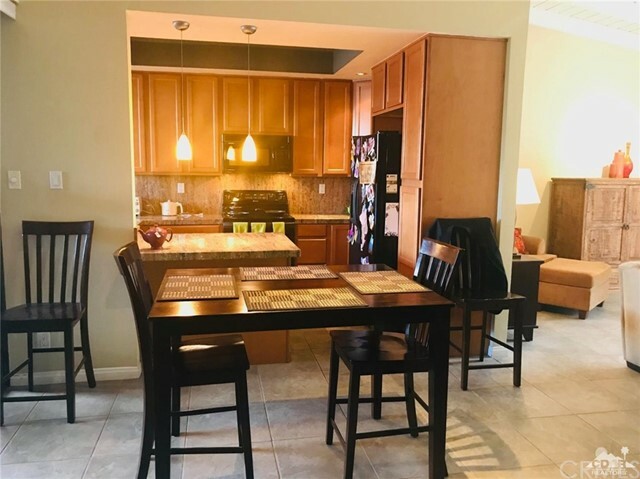 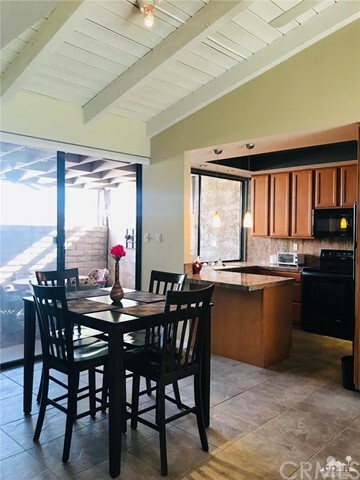 Beautifully updated with custom cabinetry throughout, neutral tile flooring in and out, gorgeous slab granite counters, and chic recessed lighting. 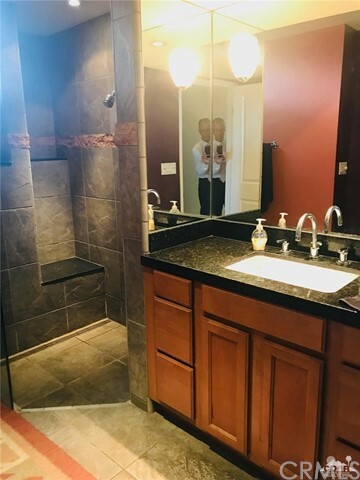 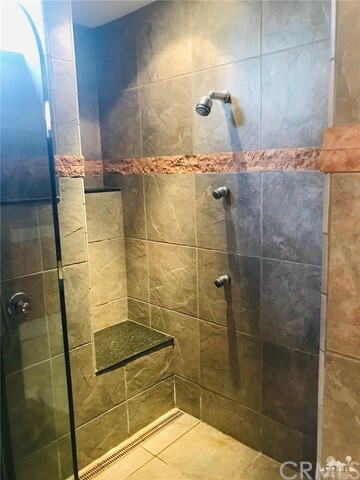 Fantastic unique conversion of 2 separate bath areas in the master now accommodate an extra large walk-in shower plus a walk-in closet. 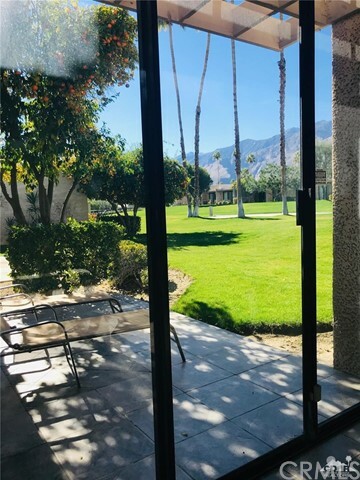 Did we mention the views! 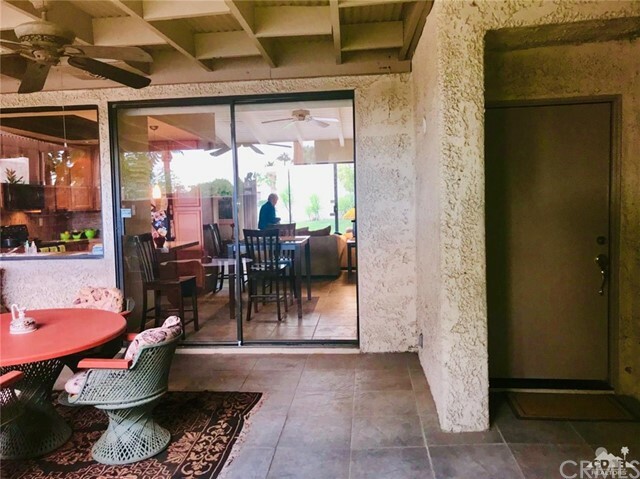 You will also love the large private entry courtyard affording privacy and flawless indoor/outdoor living. 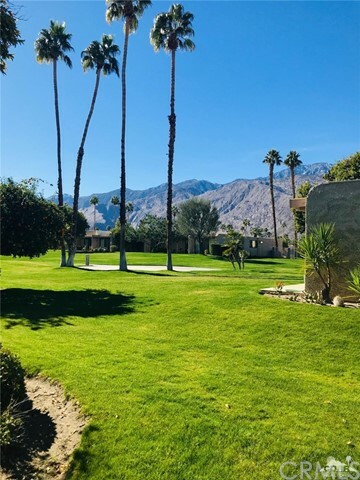 No utility lines. 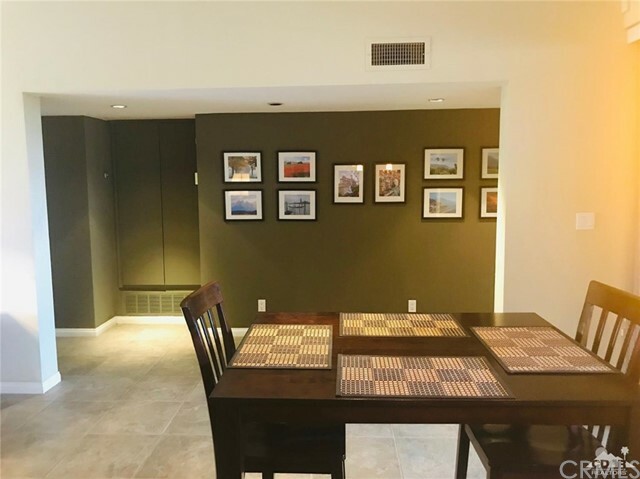 A one car garage plus extra guest parking pad to boot! 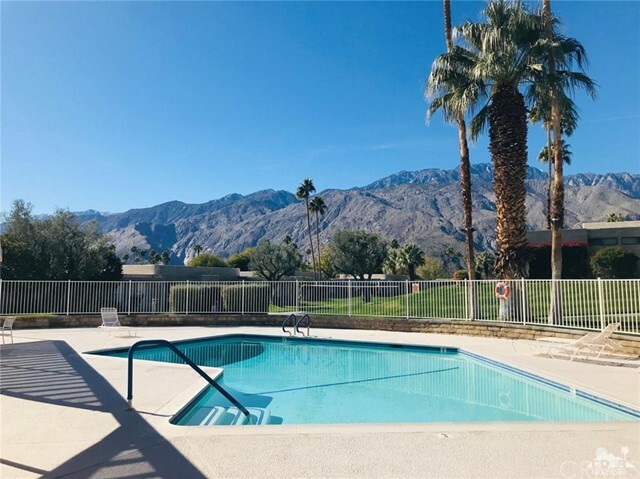 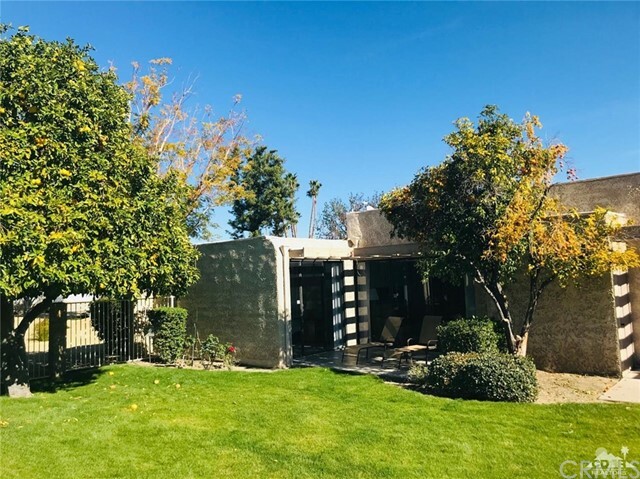 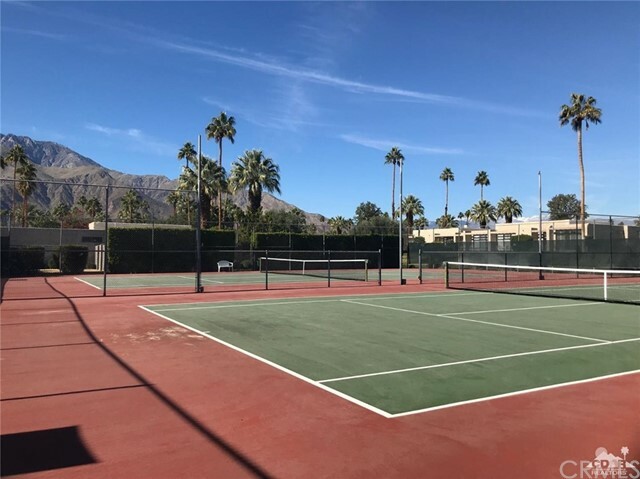 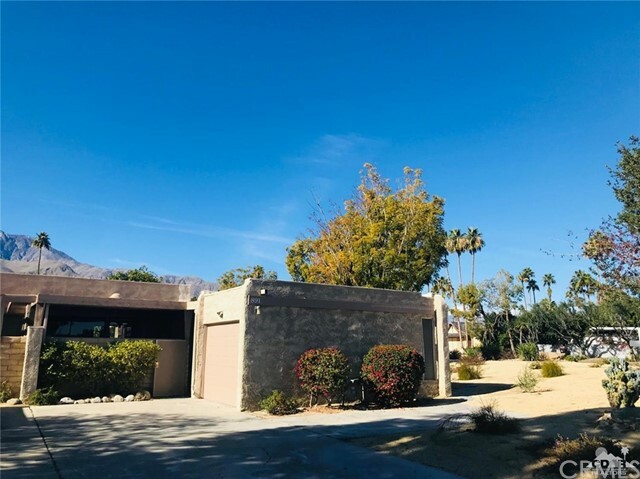 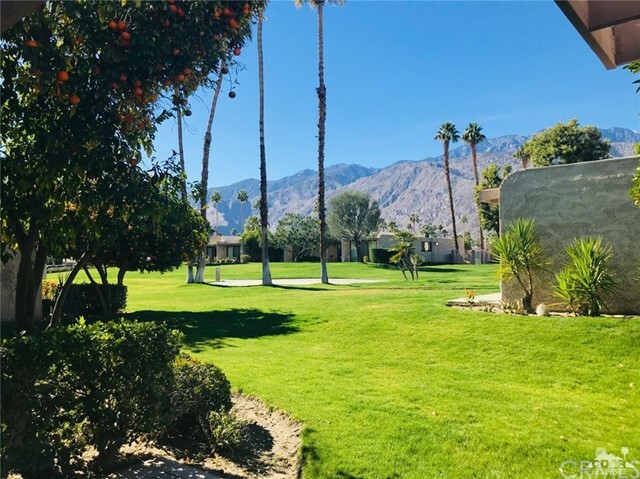 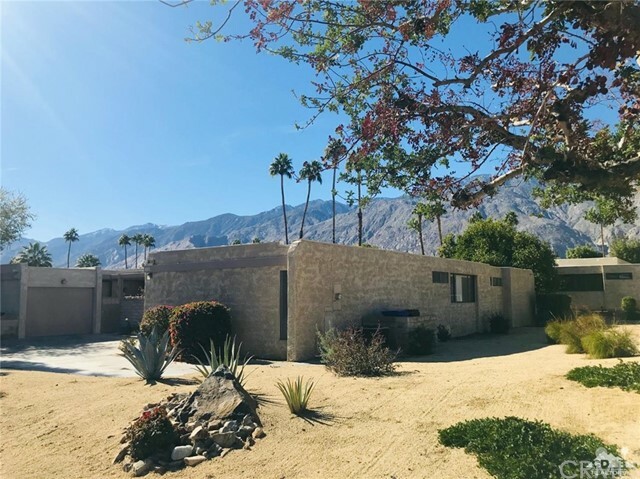 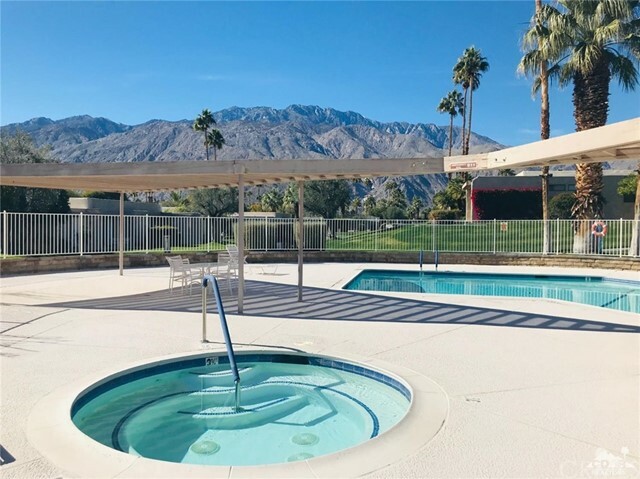 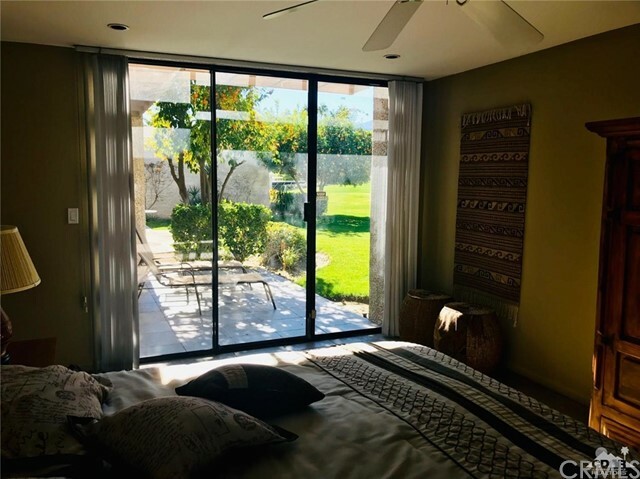 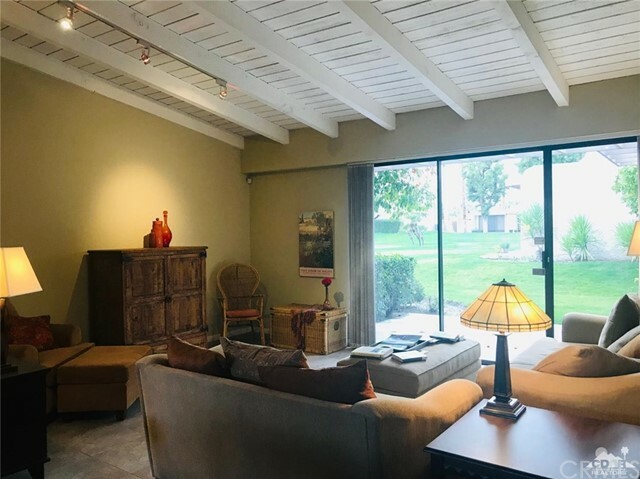 Rarely available 3 BR model in a premium location make this one of the best values in Palm Springs. 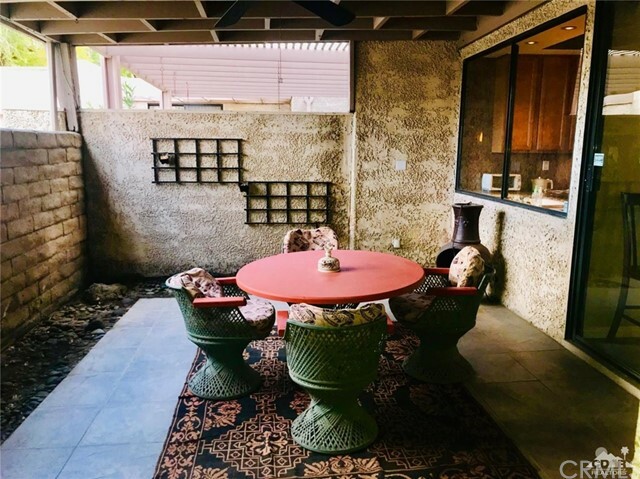 Furnishings available outside of escrow.